The Delhi High Court has agreed to hear the Aam Aadmi Party's main petition challenging the maintainability of the proceedings at the Election Commission of India. The matter will be heard on 20 March. AAP has demanded that the Election Commission show similar haste and take action against 116 BJP legislators in Madhya Pradesh as they too hold posts that come under the ambit of Office of Profit. “Of the MLAs in question in 2016, most are members of Jan Bhagidari samitis of colleges which comes under office of profit," former state AAP secretary Akshay Hunka told News18. He said that while these MLAs are not paid salaries, they do get travel allowances from colleges. "Two ministers - Paras Jain and Deepak Joshi – also hold office of profit by virtue of being office bearers of Indian Scout and Guide," he said, adding that several more ministers would have fallen under the ambit in the last couple of years, according to News18. 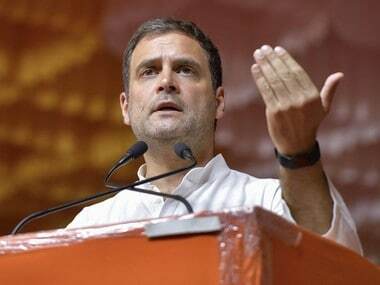 Meanwhile, in a seperate but related development, a petition was filed in Punjab and Haryana High Court against four BJP MLAs who had been earlier appointed as chief parliamentary secretaries by the Haryana government, but they were removed after the high court last year quashed their appointments, The Indian Express reported. The Shiv Sena on Monday raised questions over "the haste" with which 20 legislators of the ruling Aam Aadmi Party (AAP) in Delhi were disqualified for holding 'office of profit'. "This is an unprecedented incident in which so many elected legislators have been disqualified in a wholesale manner. Delhi Chief Minister Arvind Kejriwal is facing a crisis, and that is because of the public campaign against corruption and injustice," the Shiv Sena said. There were similar complaints against legislators during the tenure of former Delhi Chief Minister Sheila Dikshit, and even now in different states, but their positions have remained intact. In the case of AAP's 20 legislators, the EC has acted in haste, that is the opinion of even former ECI officials, and that too, without giving them an opportunity to present their case, it said. "The EC gave its ruling on the complaints against these legislators without a hearing in the matter or giving the 20 AAP elected representatives a chance to explain themselves. This is wrong," the Sena said. According to The Indian Express, the party has already sounded the poll bugle as by-polls in 20 Delhi seats increasingly become a possibility. Former Delhi MP from Chandani Chowk Alka Lamba said that the party was facing a witch hunt launched by the BJP. She said that none of the disqualified AAP MLAs have ever taken any salary or benefit as parliamentary secretary. She said that as politicians, they were not afraid of the polls but will pursue the maater in the court to fight against the injustice of the whole matter. Delhi CM Arvind Kejriwal had appointed 21 AAP MLAs as Parliamentary Secretaries in 2015, which was deemed an office of profit. The Delhi government later also tried to pass a legislation excluding the post of parliamentary secretaries from list of office of profit, but the legislation was quashed. AAP had moved Delhi HC on Friday, soon after the news broke out about the EC's recommendation. The court denied interim relief but agreed to hear the matter. The Aam Aadmi Party has claimed to be "victimised" in the wake of the EC's recommendation to disqualify its 20 MLAs for holding offices of profit, and asserted that it was "not afraid of elections". 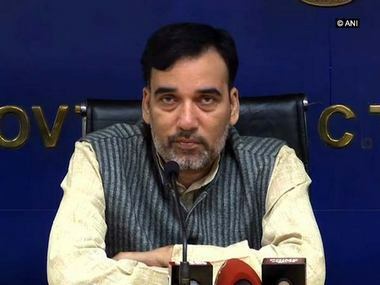 AAP's Delhi unit chief Gopal Rai alleged that the poll panel failed to give the party a hearing before sending its recommendations to President Ram Nath Kovind. "It is an undemocratic step. They are taking revenge from people of Delhi, the government and chief minister of Delhi," he said. In 2006, a question was raised over Sonia's National Advisory Council post, which she held apart from being the MP from Rae Bareilly. The Opposition parties at the time had argued that since as NAC chairperson, she enjoyed the rank and status of a Union Cabinet minister, the office of profit law applied. They had petitioned the then president APJ Abdul Kalam, asking him to disqualify Sonia as an MP. Congress leaders, meanwhile, had argued that the post of NAC chairperson was not an office of profit as Sonia received no salary or perks, and she had a purely advisory role. Sonia, however, quit as MP and recontested the elections. According to Rediff, the Election Commission had also sent a notice to Samajwadi Party leader Amar Singh, Rajya Sabha member and chairperson of the Uttar Pradesh Industrial Development Council, on a similar petition against him. Jaya Bachchan was also disqualified from the Rajya Sabha, while she was also chairperson of the Uttar Pradesh Film Development Federation. Similarly, two Uttar Pradesh Legislative Assembly members, Bajrang Bahadur Singh and Uma Shankar Singh, were disqualified in January 2015 due to holding government contracts. "A K Joti was the principal secretary under (the then Gujarat Chief Minister) Narendra Modi and then the chief secretary of Gujarat. He is retiring on Monday. So you want to repay Modi ji's debt. You are mortgaging a constitutional post like the Election Commission," AAP leader Saurabh Bharadwaj alleged. Joti, an IAS officer of 1975 batch of Gujarat cadre, took charge as an election commissioner in 2015. "The hearing before the Election Commission was not about disqualification. The ongoing hearing was whether the Election Commission can hear the Office of Profit proceedings when the Delhi High Court has stated that they are not parliamentary secretaries," Bharadwaj claimed. Regretting that the Election Commission allowed "undue" adjournments of hearings of AAP MLAs, which "dearly cost" the people, Delhi BJP chief Manoj Tiwari said the party unit "stands prepared for elections any moment". "We welcome the Election Commission decision disqualifying 20 AAP MLAs. Arvind Kejriwal should take responsibility for moral defeat and resign," he said. "Taking advantage of this delay, the AAP has succeeded in sending three persons to the Rajya Sabha and in the process has also sullied the image of the Upper House of Parliament," he said. Today's developments come at a time when rift inside the party became apparent due to Kapil Mishra’s exit and denial of Rajya Sabha ticket to Kumar Vishwas. Some TV news channels are already predicting snap polls in Delhi. Is the situation as grim for AAP as some reports have projected? Actually, this crisis couldn't have come at a better time for Kejriwal. He has been accused of selling Rajya Sabha seats and giving it to outsiders who just joined the party. Delhi voters have been witness to the constant meddling from the Lieutenant Governor in AAP’s attempts in managing the affairs of the state. The party has been fined for carrying advertisements in other states when most governments also give ads in papers outside their states. The ED has filed cases against AAP for receiving foreign funding when BJP has already been convicted for receiving foreign funds from a high court. All this will give credence to AAP’s theory that the central government is trying to destabilise the Kejriwal government and Narendra Modi-Amit Shah have still not recovered from the massive loss in Delhi. What is an office of profit? Although, an office of profit, is not defined in the Constitution, the poll panel has previously noted that any position that brings to the person holding it some financial gain, or advantage, or benefit. It may be an office or place of profit if it carries some remuneration, financial advantage, benefit etc. The amount of such profit is immaterial. Based on various Supreme Court judgements, four tests have been established. First, whether the government exercises control over appointment, removal and performance of the functions of the office. Second, whether the office has any remuneration attached to it. Fourth, whether the office enables the holder to influence by way of patronage. AAP MLAs moved Delhi High Court against Election Commission's recommendation to disqualify them for allegedly holding offices of profit. The pleas by seven MLAs was mentioned before a bench headed by Acting Chief Justice Gita Mittal for urgent hearing, which was listed for today itself, PTI reported. The number of Cabinet Ministers in Delhi cannot exceed 10 per cent of the total 70 seats — that is seven — as per Article 239AA of Constitution. As of now, only one Parliamentary Secretary to the Chief Minister is authorised. Sans the controversy around appointment, Delhi would have had more Parliamentary Secretaries (read MLAs with Minister-like powers) than actual Cabinet ministers. "We have neer been afraid of fighting elections but the way the Election Commission acted, this is is murder of democracy. Kejriwal government will complete its 5 years no matter what the BJP does. And we will raise our voice against this injustice," Lamba told India Today. Raising serious insinuations against the Cheif Election Commissioner, Aam Aadmi Party said that only three people heard the case: Nasim Zaidi, AK Joti and Omprakash Rawat. The party said that while Zaidi has retired, Rawat recused himself from the case, thus the Gujarat cadre IAS officer Joti alone remained. By disposing the case in a haste, days before his retirement, has done his last duty towards BJP. Sambit Patra pointed out that the Delhi Chief Minister was hoping to evade scrutiny as he had won 67 out of 70 seats. The BJP maintained that when a controversy erupted around the appointment of MLAs as Parliamentary Secretaries, the government tried to sneak in a law with retrospective effects to fix the contention. However, then President Pranab Mukherjee refused to give assent, following which the appointments were set aside by the Delhi High Court in September 2016, which declared them illegal since the order had been passed "without concurrence/approval of the Lt Governor. "Although Mr. Kejriwal and morality are not even distantly related, yet we put this question in public domain. With half of their MLAs having cases against them, and now 20 of them disqualified, shouldn't the Delhi CM resign on the basis of morality," Patra asked. "The self-guilt was quite evident with the fact that Kejriwal tried to bring in a law in June 2015. They tried to retrospectively keep the office of Parliamentary Secretaries, out of the list of office-of-profits," Patra said. He said that the president, however, did not allow the law to be passed. "Some of their MLAs are in jail, some are on bail, some have been thrown out of the party. The remaining have been disqualified today," Patra said. Twenty AAP MLAs on the disqualification list can draw some solace from the fact that they stand in same league as Sonia Gandhi and Jaya Bachchan (the two were MPs in Lok Sabha and Rajya Sabha respectively). Their case would ever be cited by students of politics, politicians and so on. But then the bad news for them is also twofolds — not all of them would be named by Kejriwal to contest by-elections and even if that happens, not all of them can expect to win again. If a mini election is held then AAP has to face two challenges .The first is to fight the growing anti-incumbency sentiment, in the face of BJP's attacks. Secondly, it would also have to prevent a possible division of minority and Dalit votes. The minority and Dalit voters, who generally prefer Congress, sided with the AAP in 2015 Assembly election. The challenge for party would be to keep this base intact, especially after Rahul Gandhi's elevation as Congress president. Despite disqualification of 20 MLAs, the AAP government in Delhi would survive. In 70-member assembly AAP has 65 MLAs (one Kapil Mishra expelled), of which some are rebels but even then AAP would have over 40 MLAs. Kejriwal’s problem lay elsewhere. The by-elections for these 20 seats, if and when they are held, would be taken as a referendum on Kejriwal government. Even in best of the situation AAP can’t hope to repeat its performance and have all its 20 candidates re-elected to the Assembly. Delhi municipal elections, Rajouri Garden by-election, as well as Assembly elections in Goa and Punjab have shown that Kejriwal’s popularity has waned. If he does not perform well then his government would effectively become a lame duck government for next two years. Though AAP spokesperson Saurabh Bhardiwaj did not say in as many words that they would go to the court challenging EC’s recommendation but sources said the party and government would surely consider going to the court once the President assent on disqualification of MLAs is given. Moving to court wouldn't give any immediate respite to AAP. There have been instances when pending court cases on disqualification or President Rule or dissolution of Assembly elections were held. Kejriwal and AAP would be better advised to prepare for election. 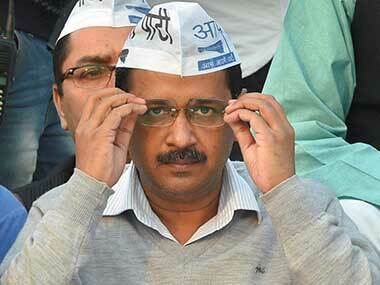 ​Has AAP's worst nightmare just come true? Aam Aadmi Party’s worst nightmare of having to face a mid-term mini general election in 20 assembly constituencies has come true. 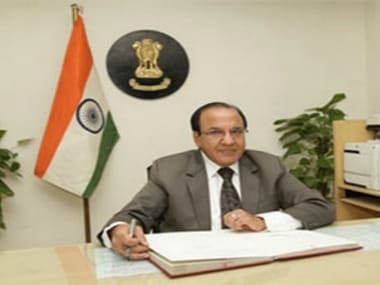 Ahead of his retirement on 22 January, Chief Election Commissioner AK Joti has given a severe jolt to Delhi Chief Minister and Aam Admi Party chief Arvind Kejriwal by recommending disqualification of 20 AAP MLAs to President Ramnath Kovind. The President is expected to accept EC’s recommendation. However, one must remember that the petition was initially filed before President and after he was satisfied that there was a prima facie of disqualification and thus he sent that to the EC for scrutiny. "Behind this whole episode and this haste to take a decision is a small fact: The CEC's birthday is approaching. He will turn 65 on 23 January and after that neither Modi, not even god, can help Joti continue on this post. So he wanted to dispose off this case before he leaves office and do his master's last bidding," Saurabh Bharadwaj, AAP leader said. "The decision to move Delhi High Court against the Election Commission recommendation is only delaying tactics of the AAP. They know that if an election is held they will lose badly," says BJP MLA and Opposition leader in Delhi Assembly Vijender Gupta. "If any media person or any one has ever seen one of these 20 MLAs any minister like services, then they are welcome to point out. They were never appointed any office, bungalow, or vehicle. There was no profit in an office of profit case," Saurabh Bharadwaj said. AAP leader Saurabh Bharadwaj said that according to the principles of natural justice worldwide, the person against whom a case is registered, must be heard before a conclusion is reached. He alleged that the EC never heard the case fully and hastened to take the decision. AAP MLA Anil Bajpai told Firstpost that the party would move Delhi High Court against the Election Commission recommendation to disqualify 20 MLAs. "The case is sub judicial. How can the EC take a call on that," he asked. Congress leader Ajay Maken said that the AAP appointed all these MLAs as Parliamentary Secretary so that they could avail services and allowances as allowed to a minister. "This was a misuse of public money," Maken said, adding that Arvind Kejriwal should quit on moral grounds. Sukhbir Singh, one of the 20 AAP MLAs whose disqalification has been recommended by the Election Commission, called the move the 'murder of democracy'. Speaking to News18, he said: "Jaate Jaate ye (CEC AK Joti) apna namak ada kar ke gaya hai aap aadmi party ke khilaf. Ye prajatantra ki hatya hai, aur ye prajatantra me dono paksho ki baat sun k hi nirnay kiya jata hai, par ye ekpakshiya nirnay hai. Supreme court me case humara chal raha tha." If the president gives nod to EC recommendations, AAP's tally will dip to 47 in the 80 member Assembly. 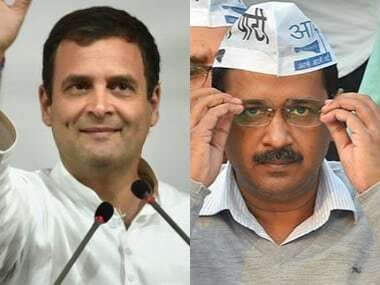 Congress and BJP have both demanded Arvind Kejriwal step down as Delhi chief minister after the Election Commission recommended the disqualification of 20 Aam Aadmi Party (AAP) MLAs in an 'office of profit' case. News18 has quoted sources as saying the Election Commission has forwarded these recommendation to the president. If the president accepts the recommendation, by-elections will be held for 20 seats. AAP MLAs' counsel told the Delhi High Court that he will file an appeal after examining President's order disqualifying 20 MLAs in office of profit case. Application moved by 6 AAP MLAs has become infructuous after Presidential assent, so the petition regarding dismissal has been withdrawn by them. The Aam Aadmi Party (AAP) has withdrawn plea seeking interim relief for its 20 disqualified MLAs, saying that the plea was filed before the President's decision came. The party will file a fresh petition in the Delhi High Court seeking quashing of the order disqualifying its MLAs, on the grounds that the poll panel did not grant them a fair hearing. The party will also argue that the MLAs did not obtain any profit as alleged parliamentary secretaries. EC rejected AAP's charge of not being heard saying They didn't made any submissions on details provided by Delhi govt despite multiple opportunities & lapse of considerable period of time. Manish Sisodia writes open letter to people of Delhi, asks "Is this fair?" क्या चुने हुए विधायकों को इस तरह गैर-संवैधानिक और गैर-कानूनी तरीके से बर्खास्त करना सही है? क्या दिल्ली को इस तरह चुनावों में धकेलना ठीक है? Fight the battle legally but be prepared for the by-polls as well. That's the message the Aam Aadmi Party has given to its 20 disqualified lawmakers. Sources in the AAP said, although the party would take all possible legal recourse, the MLAs have been sounded out to be prepared for any eventuality, which is a likely by-poll. The Delhi High Court is scheduled to hear a plea on Monday regarding the disqualification of 20 Aam Aadmi Party (AAP) MLAs in Delhi on charges of holding Office of Profit. Six AAP MLAs had approached the Delhi High Court on Friday, after the Election Commission recommended disqualification of 20 of the party's MLAs for holding office of profit as Parliamentary Secretaries. The court had, however, refused to grant interim relief to the AAP MLAs, listing the matter for further hearing on Monday. Hours after news of the Election Commission ECI recommending the disqualification of 20 AAP legislators for holding "office of profit" broke out, Arvind Kejriwal said that "hurdles naturally come when one walks on the path of truth". The Delhi BJP has begun serious parleys on the possibility of bypolls to 20 Assembly segments after the Election Commission's recommendation to disqualify 20 AAP MLAs. The BJP leaders discussed the issue in a meeting of the party's core committee members on Friday night, party sources told PTI. "The matter was discussed in detail along with other issues like the sealing drive underway in north and south Delhi," said a senior party leader who attended the meeting. Kapil Mishra claimed that an internal AAP survey showed that the party was not confident of winning back a single seat after the disqualification of 20 of its MLAs if bypolls were held today, reported India Today. Mishra also claimed that the report "recommends 12 ticket changes including (those of) Alka Lamba, Adarsh Shastri, Sarita Singh (and) Praveen Deshmukh". "The Election Commission, by taking action against 20 MLAs, has given Narendra Modi a gift. But this is dangerous for the country," said AAP leader Gopal Rai. "Delhi government has not given even one rupee to any Parliamentary secretary," Rai further said. "What has the Delhi MLAs done? Is it only because they belong to AAP? You (EC) are the boss. You can do anything. But history is watching," said the AAP leader. "You are murdering democracy," Rai said. According to various news reports, AAP leader Sanjay Singh said that the "Election Commission is acting like Narendra Modi's agent." "The Modi government is violating institutions of democracy," Singh added. According to CNN-News18, the Delhi High Court asked that the AAP MLAs whether or not the Election Commission issued them a notice. To this, the AAP MLAs responded in affirmative, but they argued that the EC summon did not mention the date of hearing. The Delhi High Court has said that it cannot stay the disqualification order issued by the Election Commission, Indiia Today tv reported. The report further said that the court said that it has already held the office held by AAP MLAs illegal. The Election Commission on Friday decided to disqualify 20 Aam Aadmi Party MLAs for allegedly holding offices of profit as Parliamentary Secretaries. The poll panel has has sent its recommendation to the President for his assent. The entire issue came into existence when on 13 March, 2015, the Arvind Kejriwal-led Delhi government passed an order appointing 21 MLAs as Parliamentary Secretaries, according to News18. Subsequently, the Congress had on 9 June, 2016, moved the poll panel to seek disqualification of 21 AAP MLAs and has been pursing the matter ever since. However, the proceedings were dropped against Jarnail Singh after he resigned as the Rajouri Garden MLA to contest the Punjab Assembly polls in February 2017. In October last year, the EC had issued a notice to the Aam Aadmi Party lawmakers for an explanation. In June 2017, the EC rejected the MLAs pleas to drop the "office of profit" case against them and ruled that the disqualification proceedings against them will continue. However, then President Pranab Mukherjee refused to give assent, following which the appointments were set aside by the Delhi High Court in September 2016, which declared them illegal since the order had been passed "without concurrence/approval of the Lt Governor".